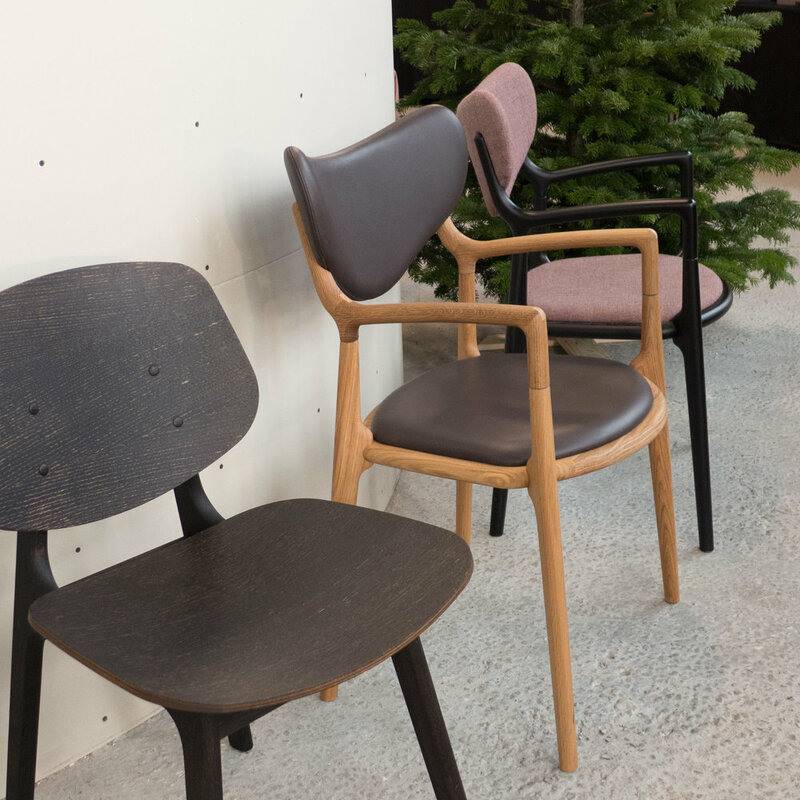 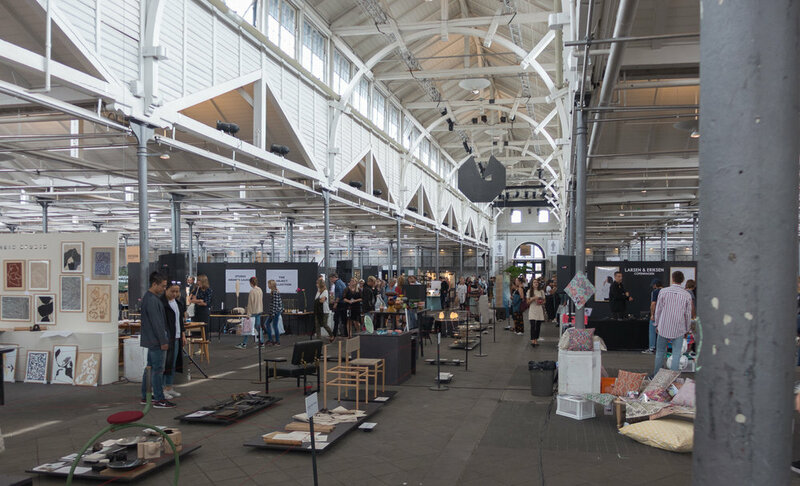 FindersKeepers - the design, furniture and clothing market - at Øksnehallen in the Meat Market district of Copenhagen from 11.00 to 17.00 on Saturday 16 February and Sunday 17 February 2019.
maybe click / download / save / zoom ? 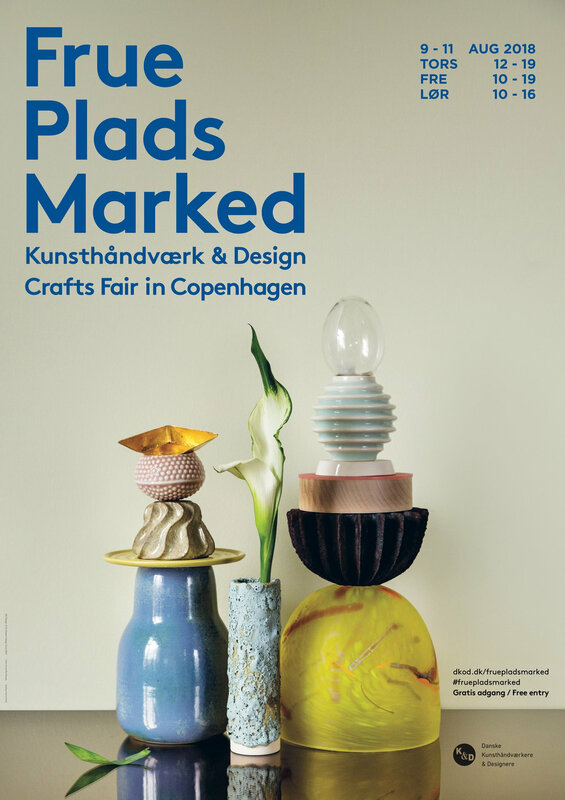 Danske Kunsthåndværke og Designere - the Danish association for Crafts & Design - have just released the poster for their annual craft market on Frue Plads in Copenhagen in August. 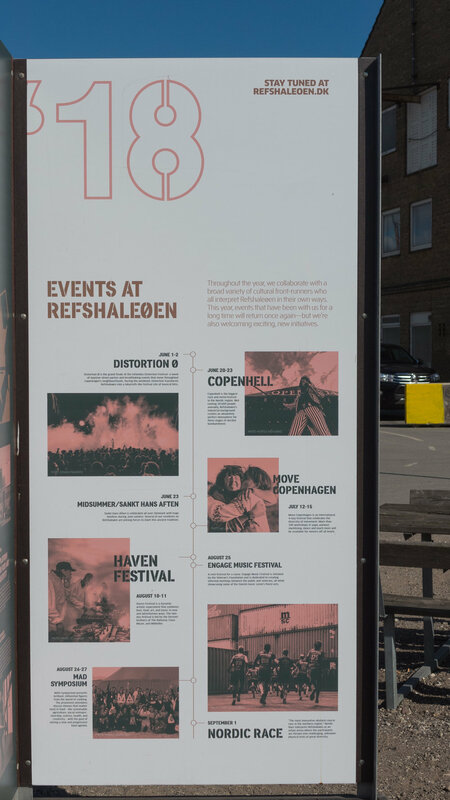 Generally, notes on this site about imminent events are often too close to the imminent for readers to make sensible plans to visit the city so this has been posted to give you a little more time to plan that trip. 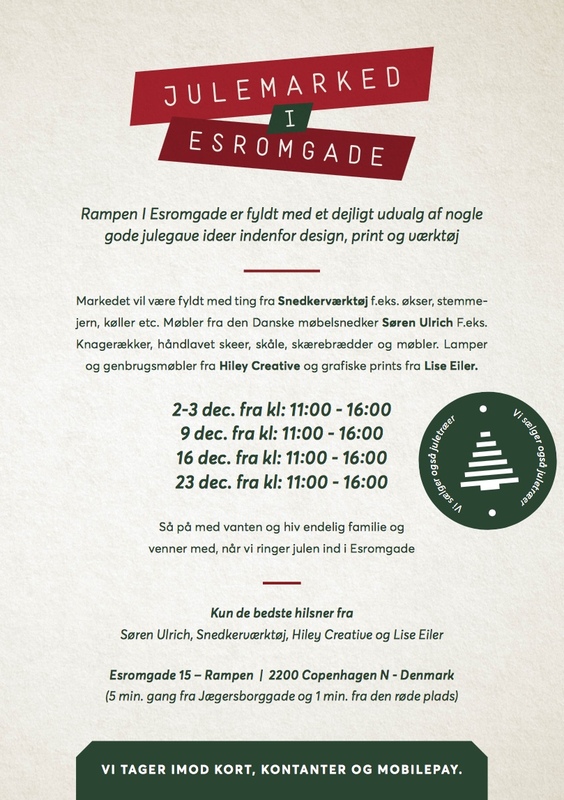 This market is a great opportunity to see and to buy from a huge range of craft works from Denmark ... so not just from the city. 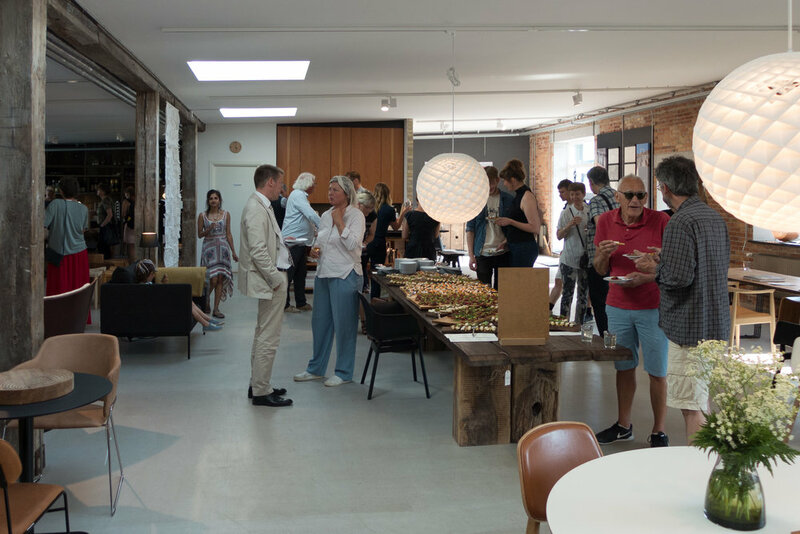 On Thursday evening there was the launch of a special event at Design Werck. 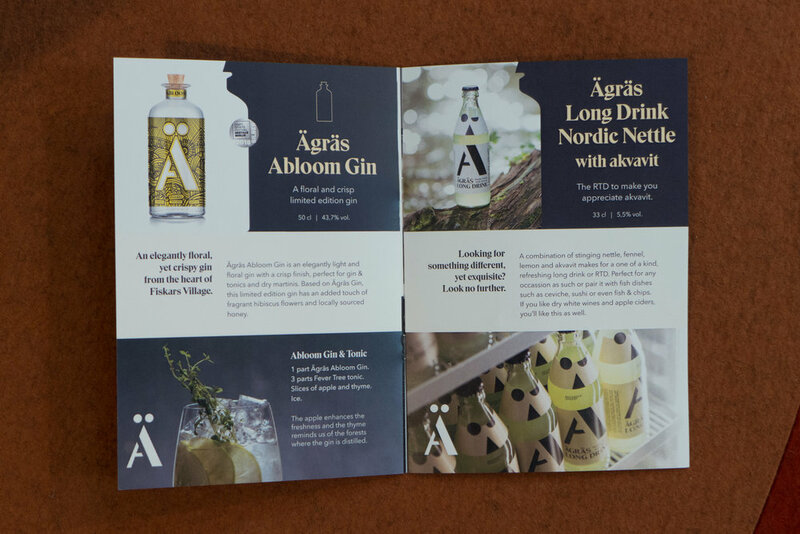 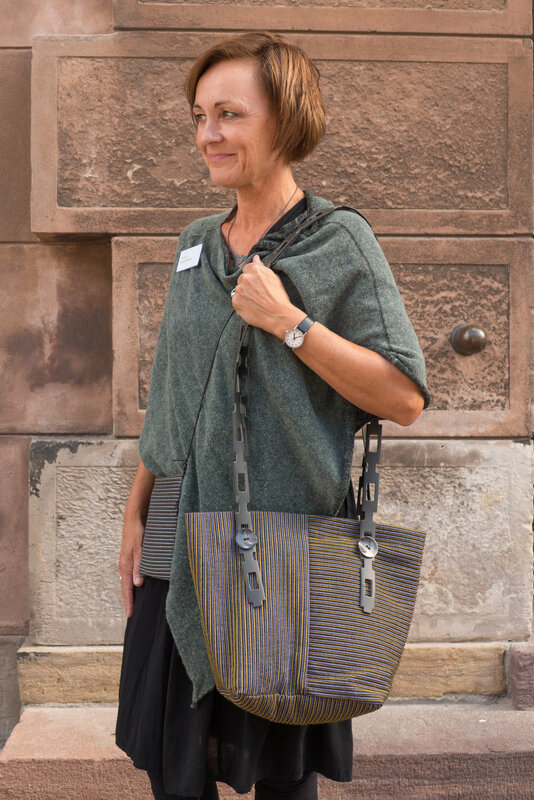 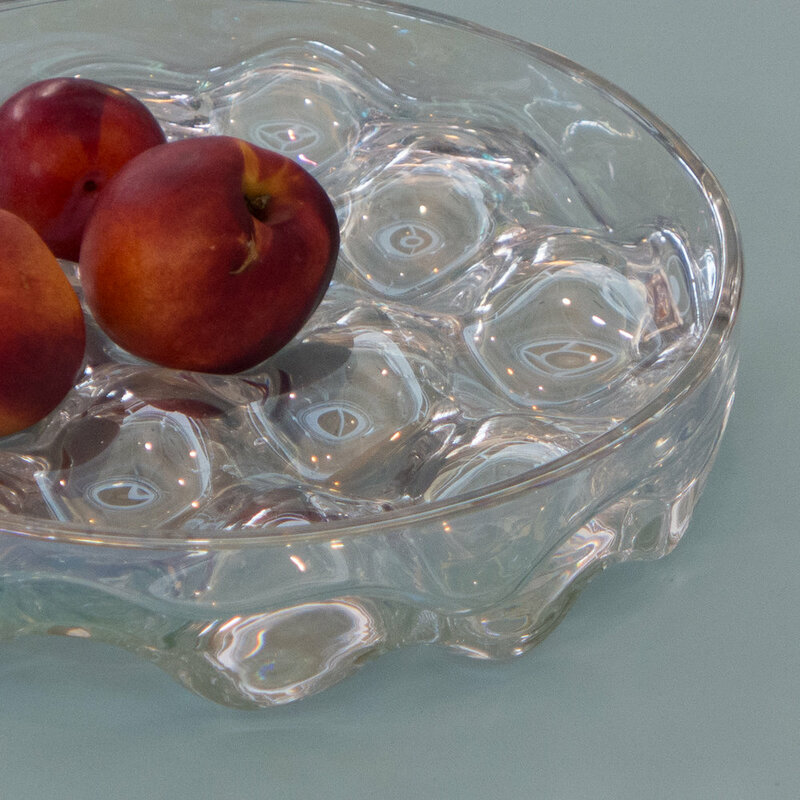 In partnership with ONOMA - the Cooperative of Artisans, Designers and Artists in Fiskars - Design Werck will show furniture, art, textiles, graphics; ceramic works and glass made in the historic village that is 80 kilometres west of Helsinki in Finland. 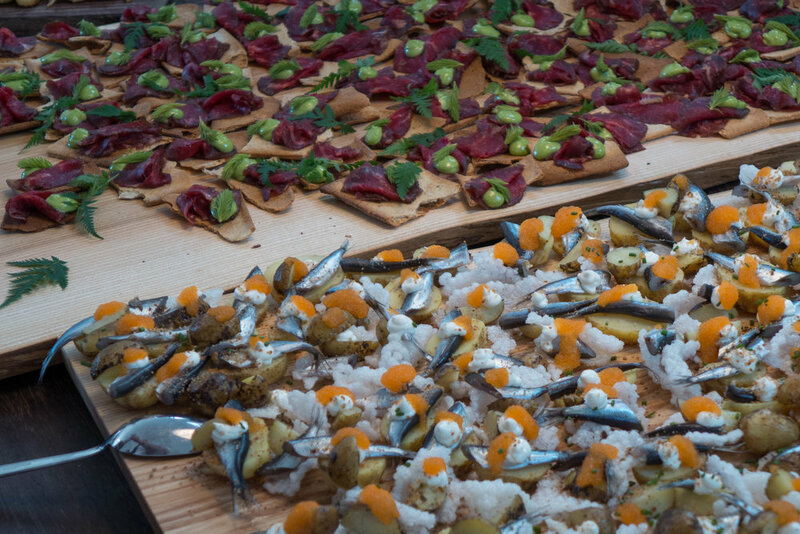 Founded in 1996, the association now represents 117 members. 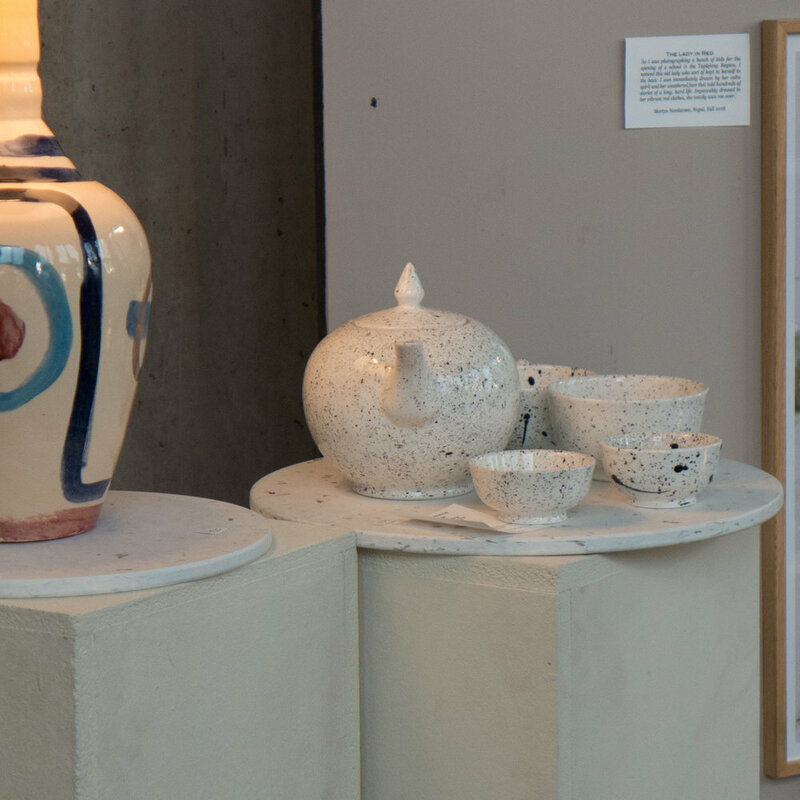 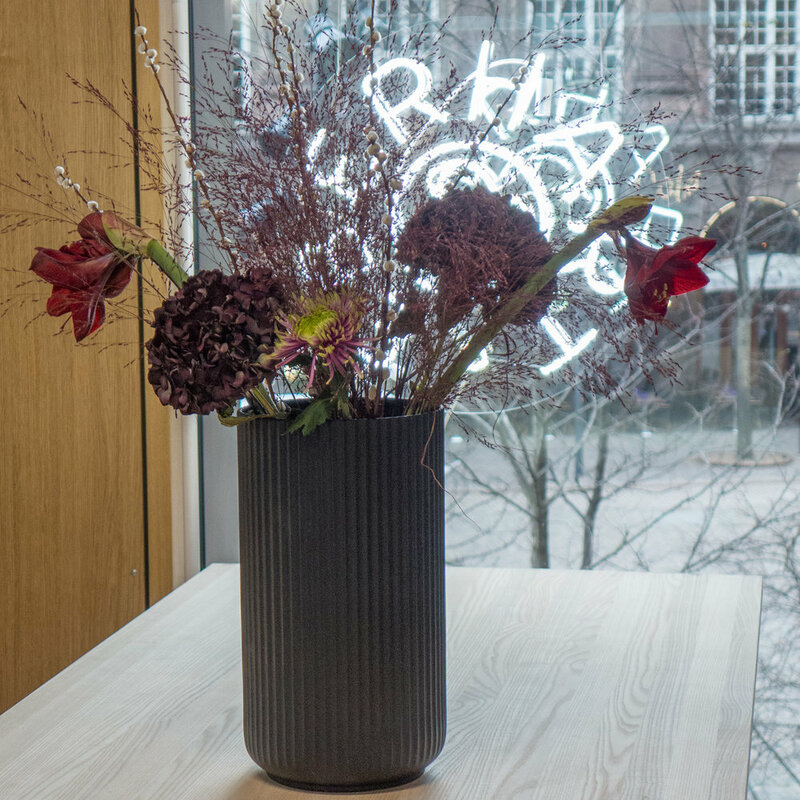 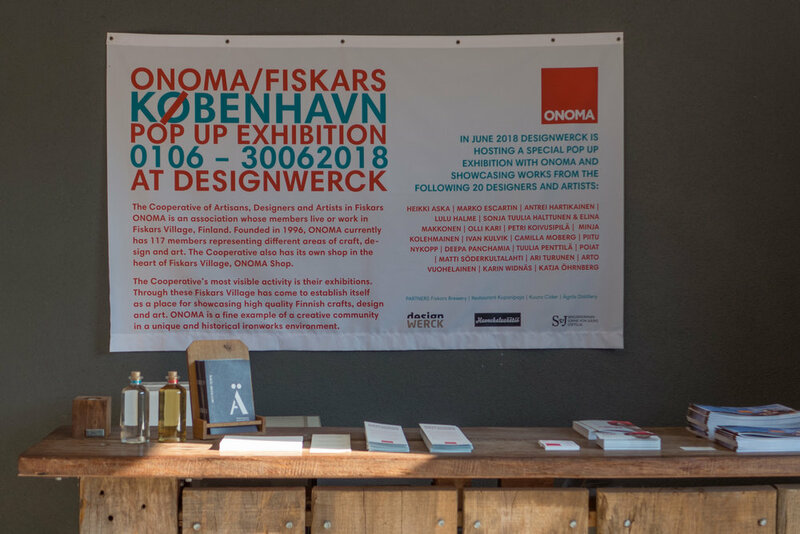 Twenty members of the cooperative will be showing their work here in Copenhagen and the exhibition, with works for sale, will continue through until 30th June. 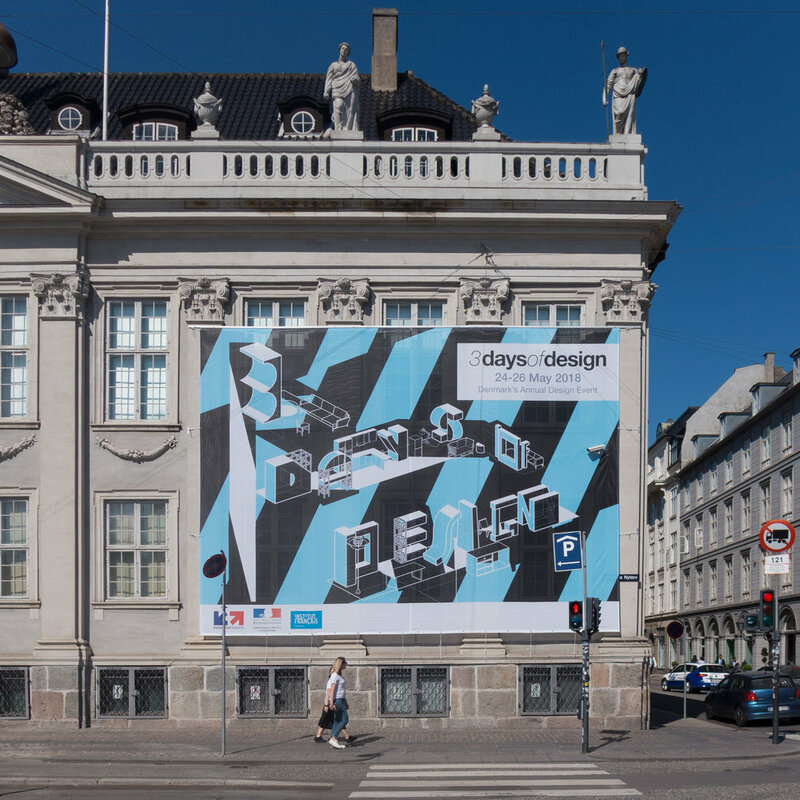 On Papirøen - Paper Island - immediately south of the Opera House and opposite the national theatre - the popular food hall and the large gallery space of Copenhagen Contemporary closed at the beginning of the year because all the buildings here are about to be demolished for redevelopment of the area with plans for the construction of large new apartment buildings and a swimming pool. 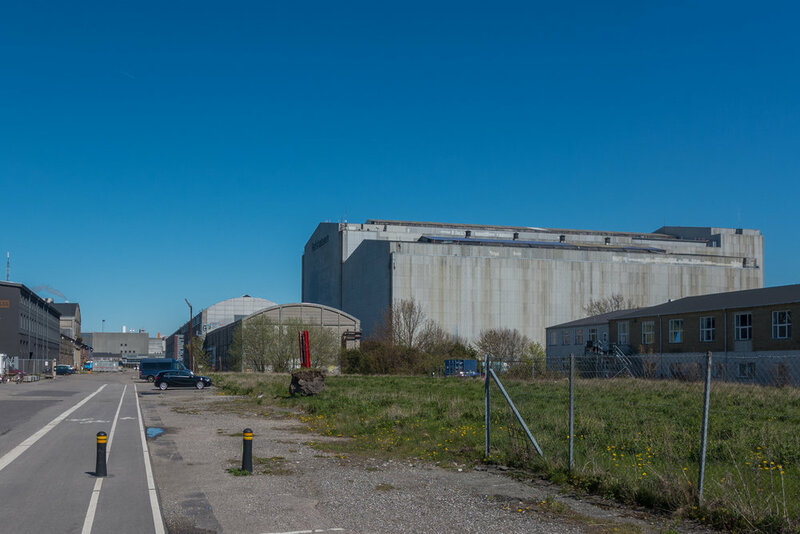 However, a larger and much more ambitious version of the Papirøen food halls are set to open further out at Refshaleøen … an island at the north end of the harbour that was formerly the site of the B&W shipyards and engineering works and perhaps famous recently as being the venue for the Eurovision Song Contest. 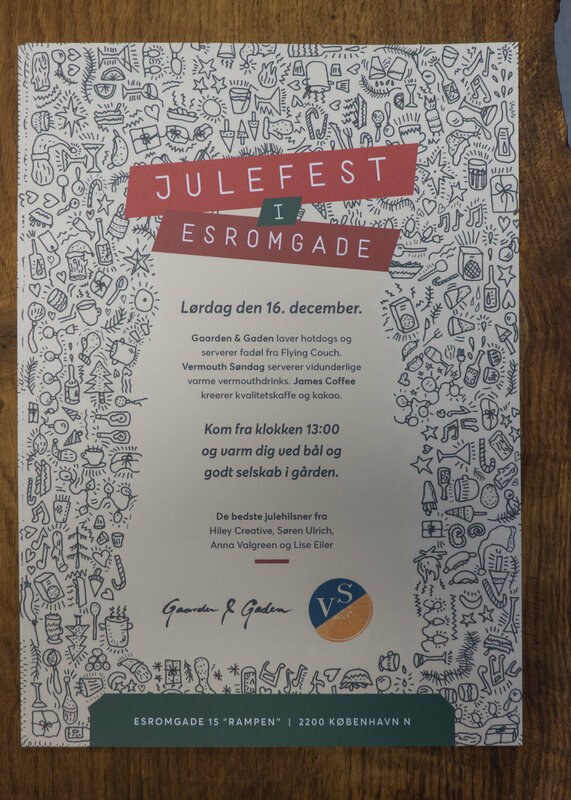 The plan for Reffen is to attract here not just the sellers of gourmet food who were so successful on Papirøen but for this to also be a venue for cultural events and to attract crafts people and design people to not just sell out here but to have their workshops here. 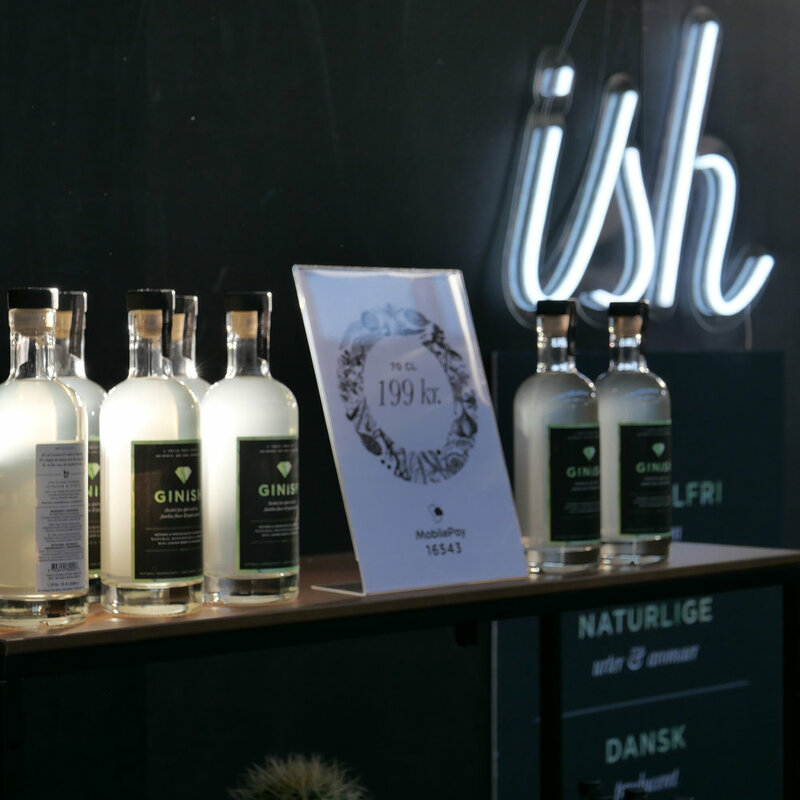 There will be a strong emphasis to reduce and reuse - to use local produce to reduce transport and of course recycle or reuse … so there will be a strong environmental agenda. 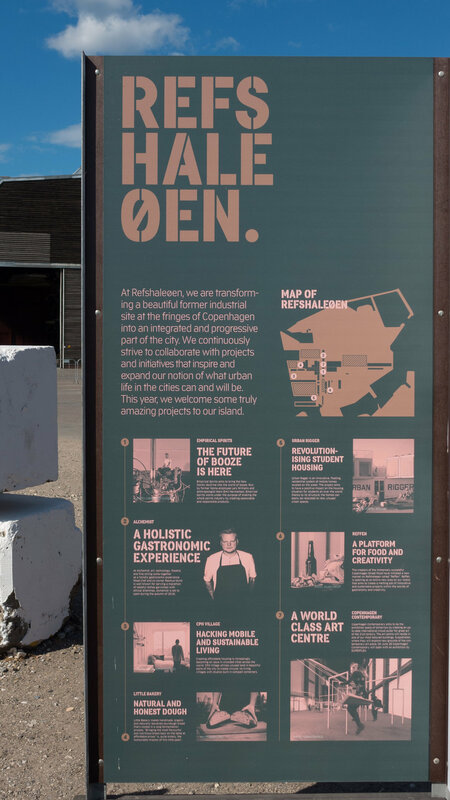 "The hope is thus to create a new place in Copenhagen that with a sustainable point of departure is a melting pot of amazing experiences that attract and inspire both locals and tourists - a place that can be seen, tasted, heard and felt both locally and internationally." 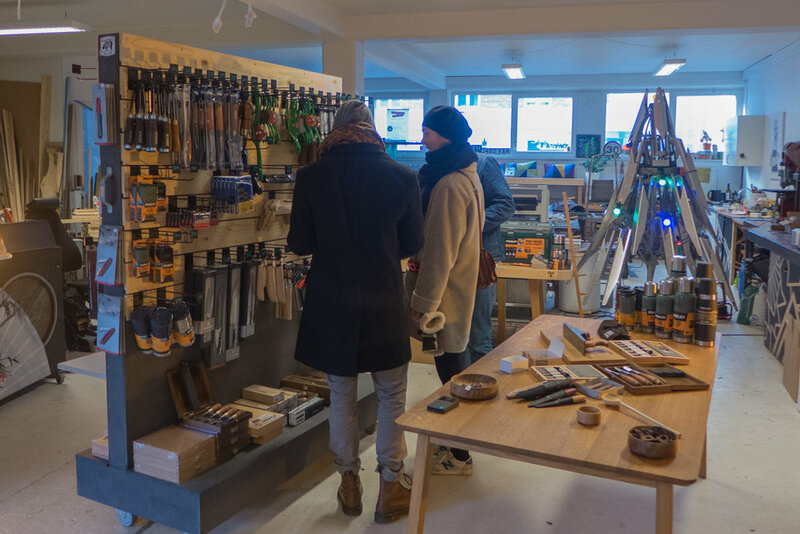 It will cover a large area - around 10,000 square metres - much larger than the Paper Island warehouses - and they are talking about leases for 10 years so this should become a well-established destination for both people from the city and for tourists. 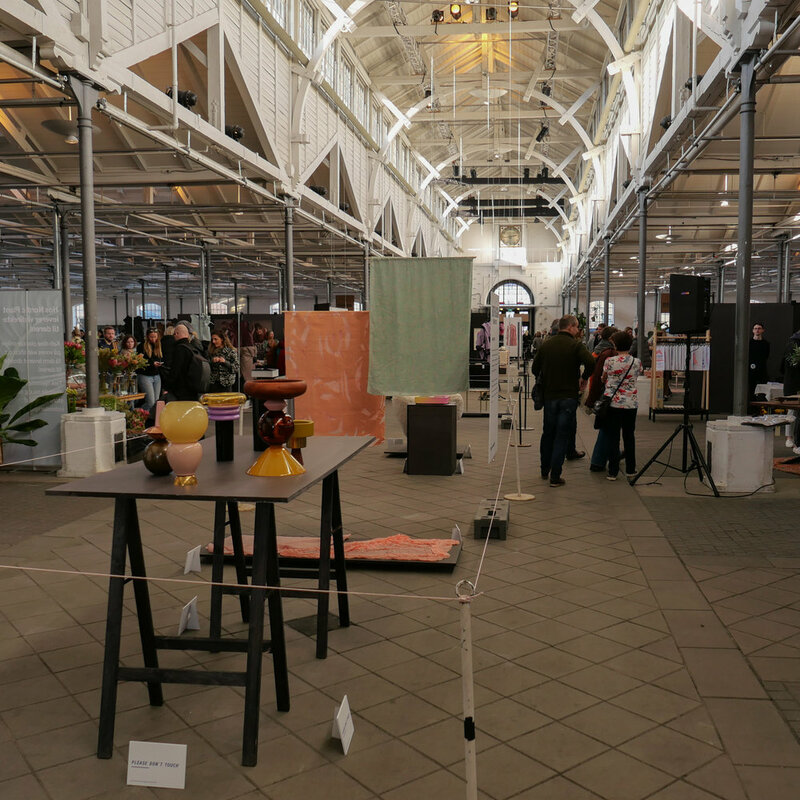 Plans show three areas … a large market place, a covered hall in old machine shops and an open area for events on the city side of the huge hall where music events and so on are held. 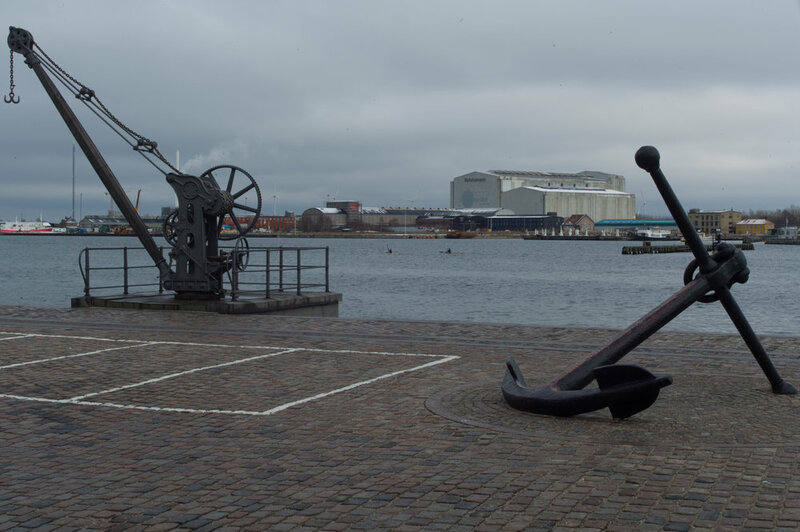 Refshaleøen is at the end of the harbour ferry line and through the summer there will be direct boat links from Nyhavn - the ferry terminal by the Playhouse - and tourists boats will also come out here … and of course you can get here by bike. 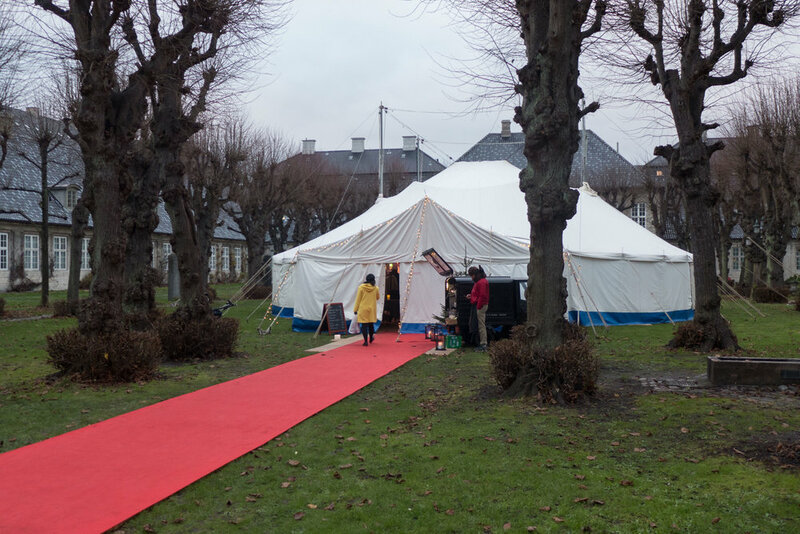 Christmas market ... in Esromgade so just across the park from Jægersborggade. 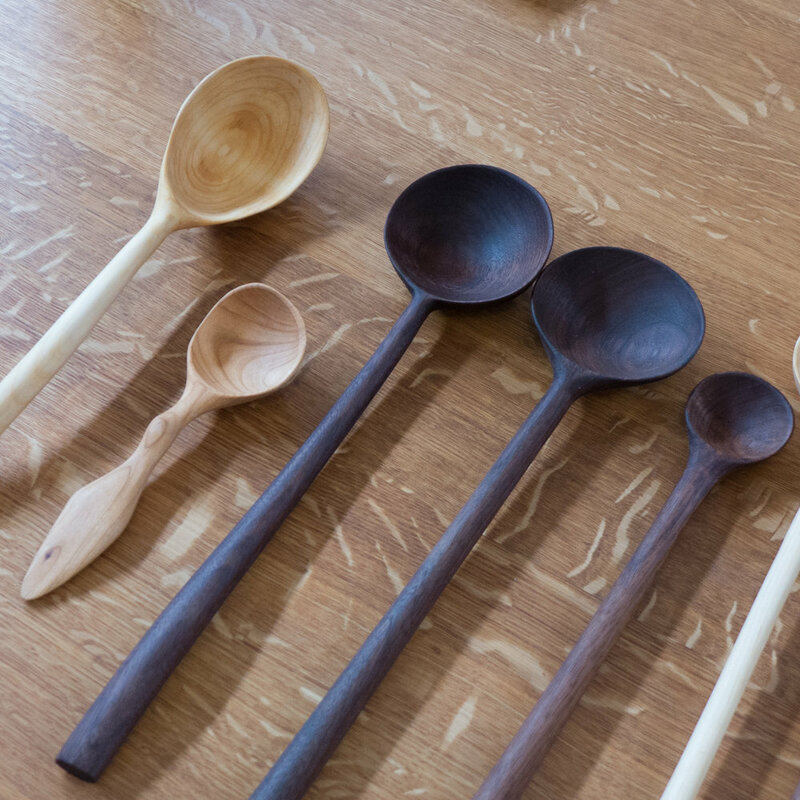 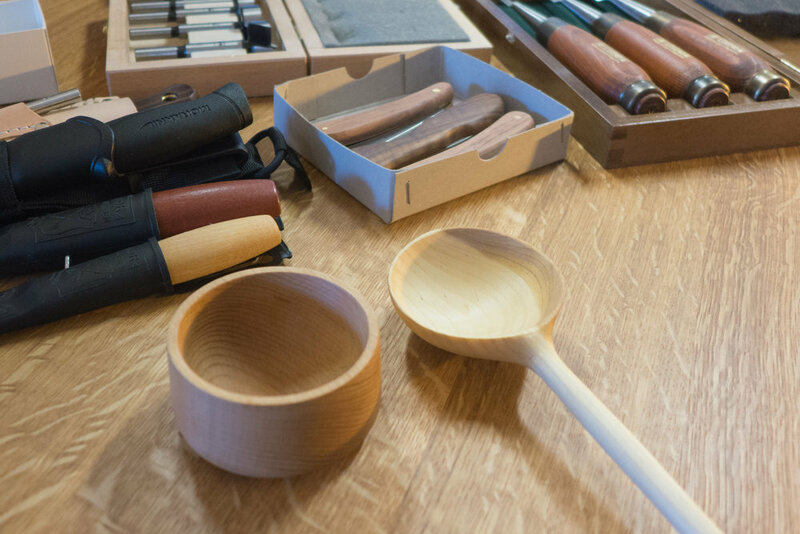 Bowls, ladles, spoons in wood plus furniture and of course the amazing selection of woodwork tools. 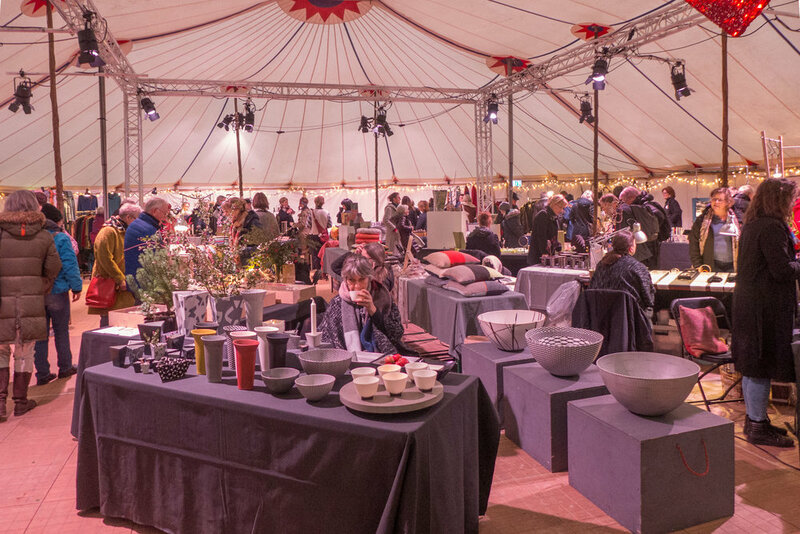 There will be stalls for food and drink - including, I was told, 'warm vermouth' - in the courtyard and works from other artists. 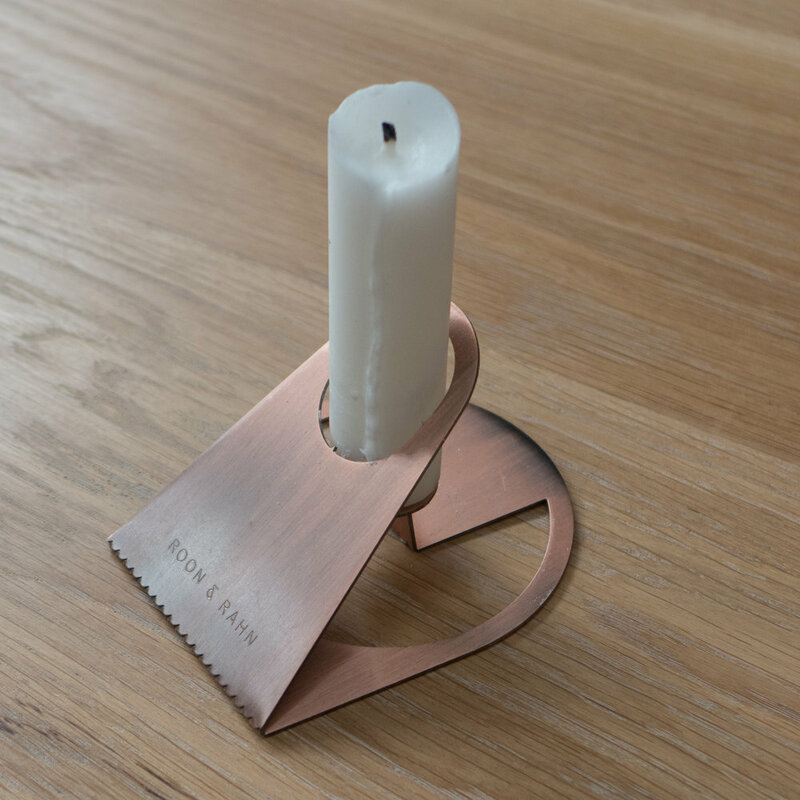 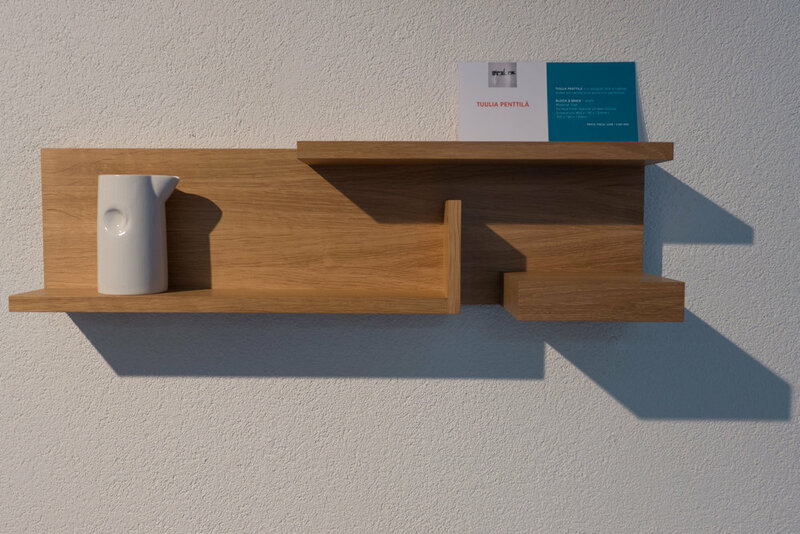 There have been a couple of posts here on this site about the work of the craftsman Søren Ulrich. 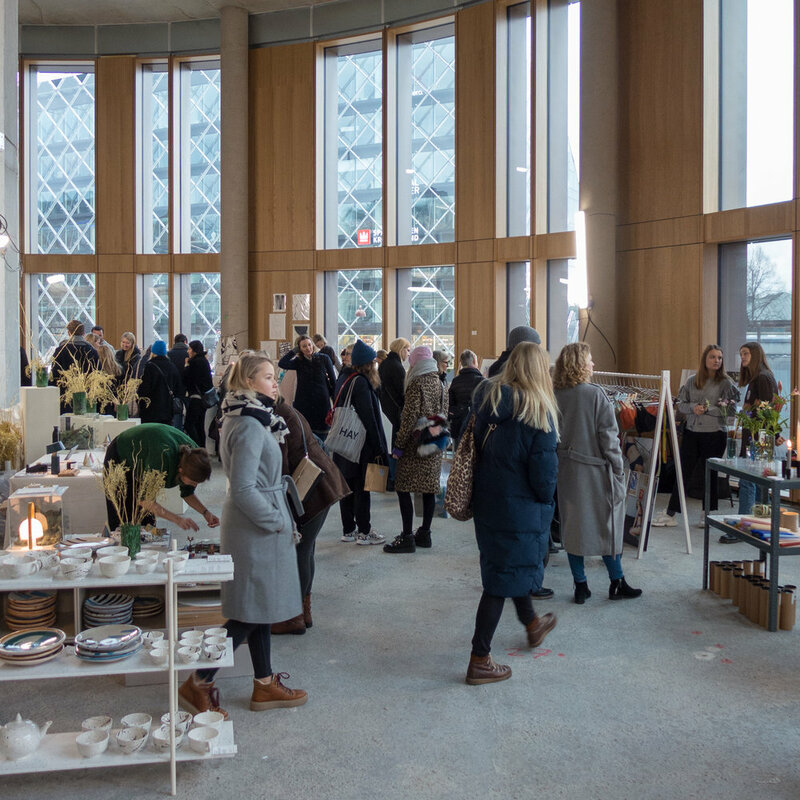 This weekend there was a Finders Keepers event here in Copenhagen. 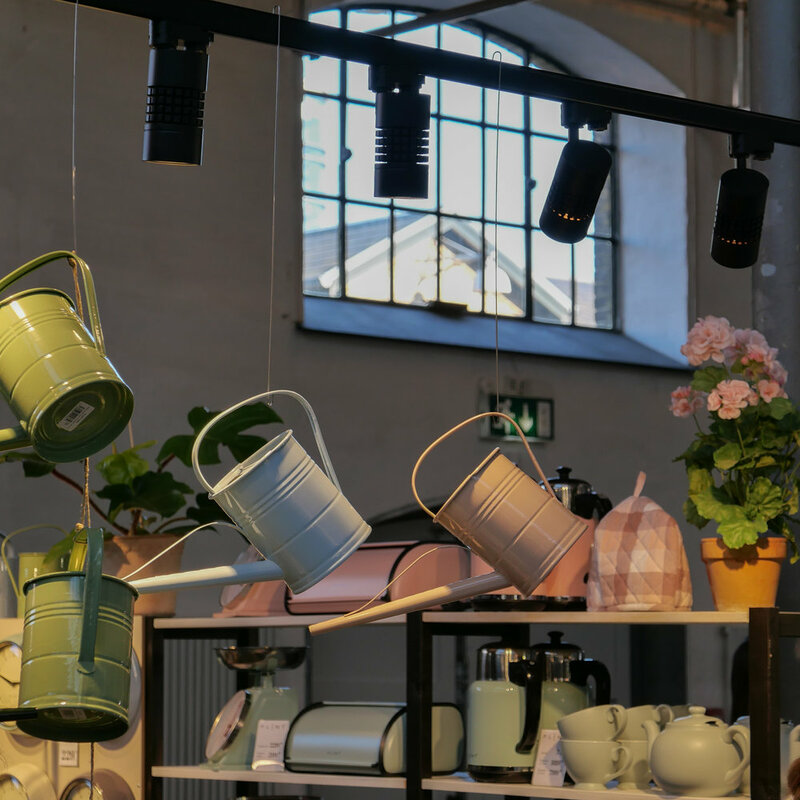 It was the usual mix of design, clothing and food and the usual and good mix of small independent companies … this is entrepreneurial Danish design at its best … but it was a rather different set up this time. 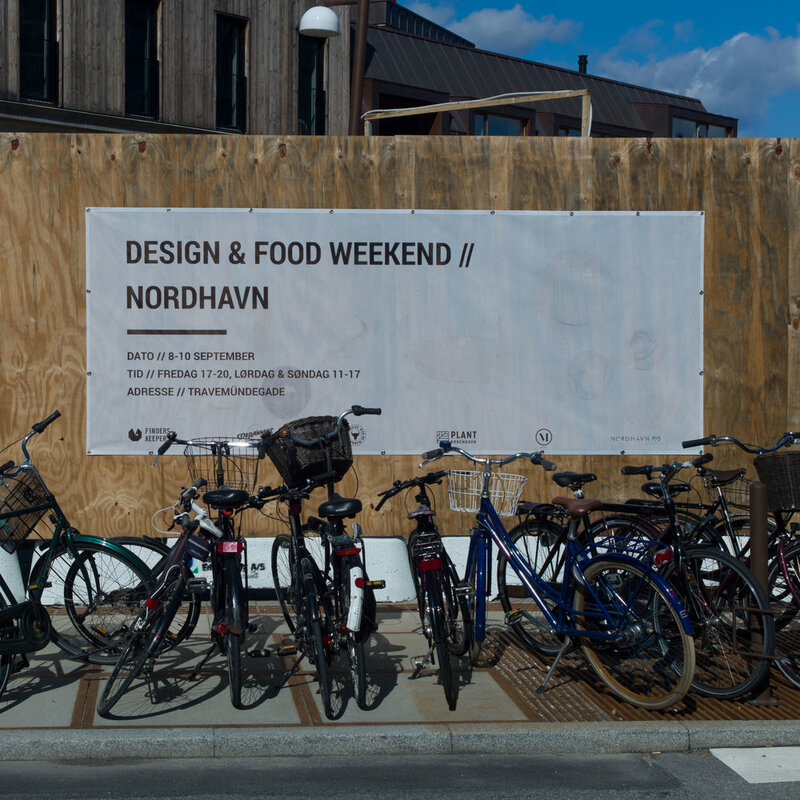 Normally there is a single venue - so somewhere like the Locomotive Works or the old Tap1 out at Carlsberg - but this weekend they took over two streets in Nordhavn with the design and the clothing companies inside - in what will soon be fitted out as retail or office space along Århusgade - and food stalls down the narrower side street of Travemündegade that runs back from Århusgade. 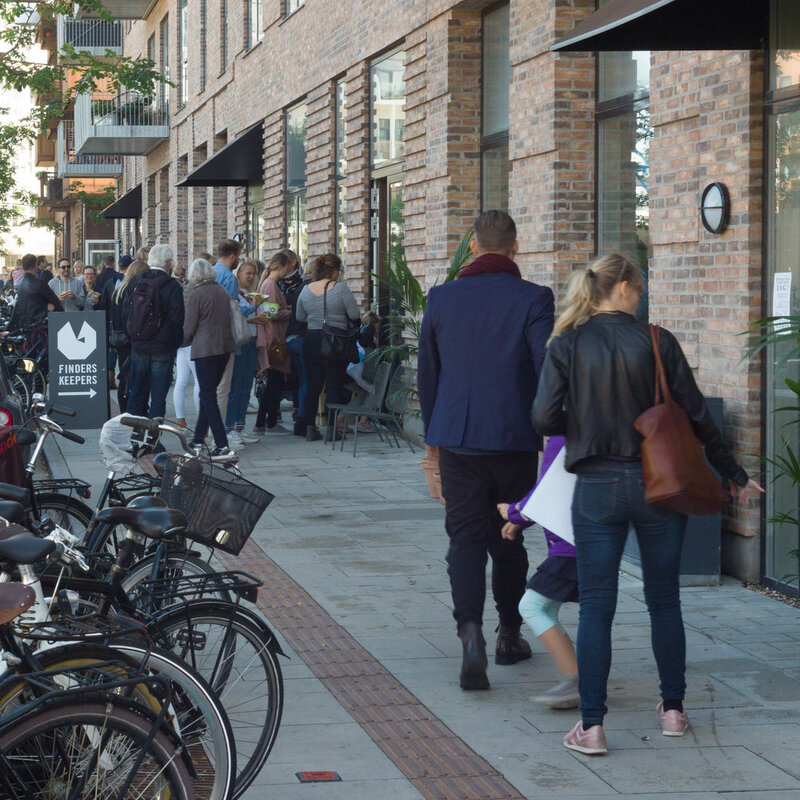 There was not much space for chairs for sitting down to eat but the odd bonus was that the smell of cooking and grills and barbecuing - trapped by the buildings - was absolutely incredible although I wonder what the people who have just moved into these apartments thought about it all. 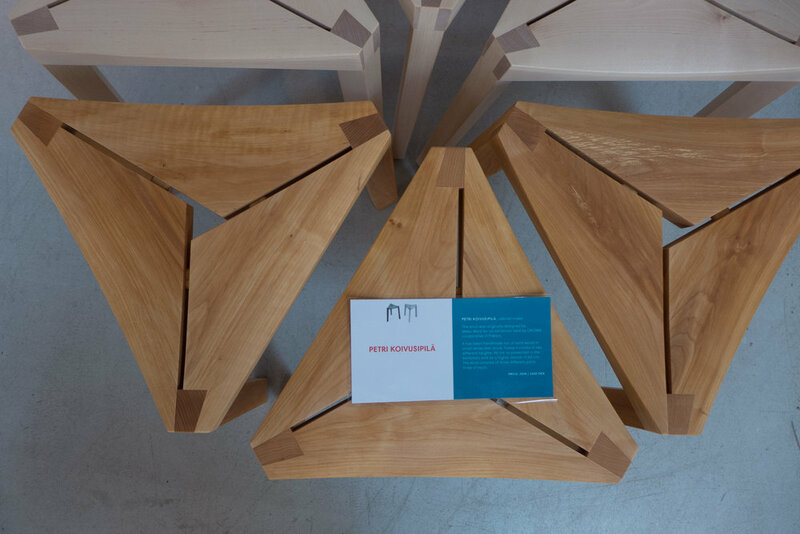 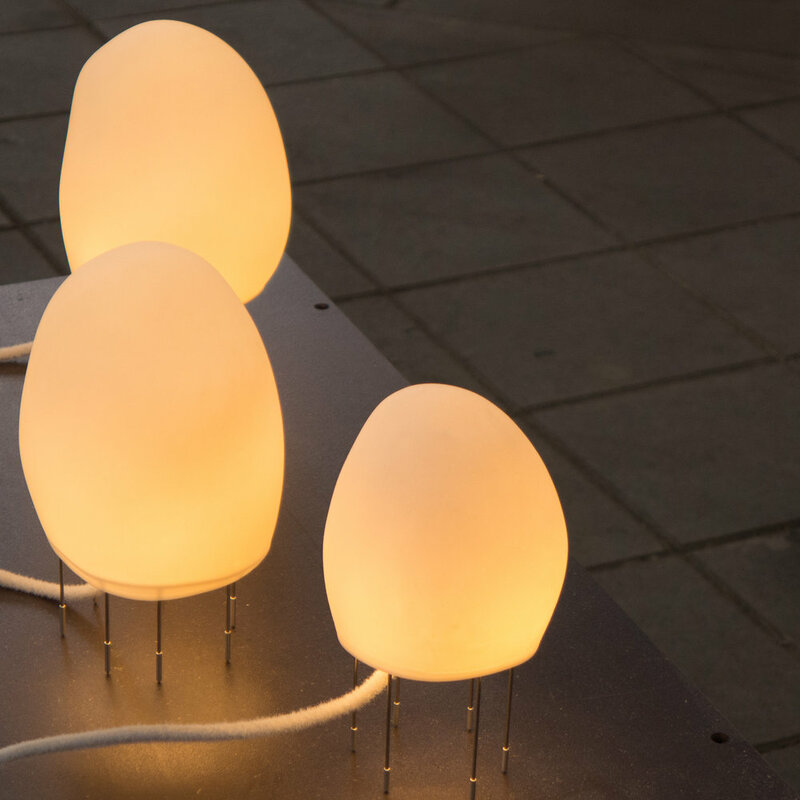 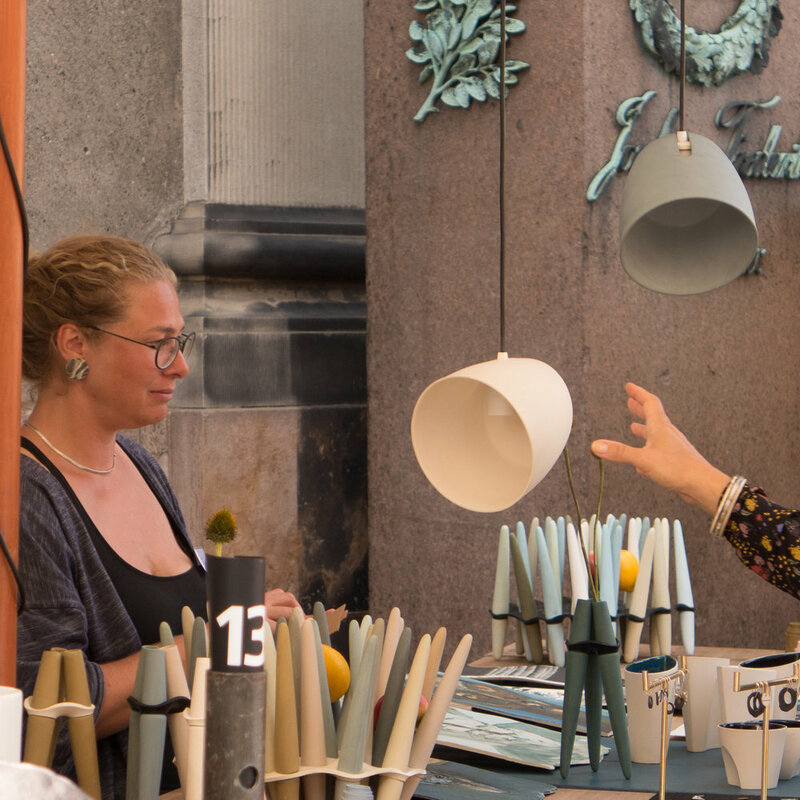 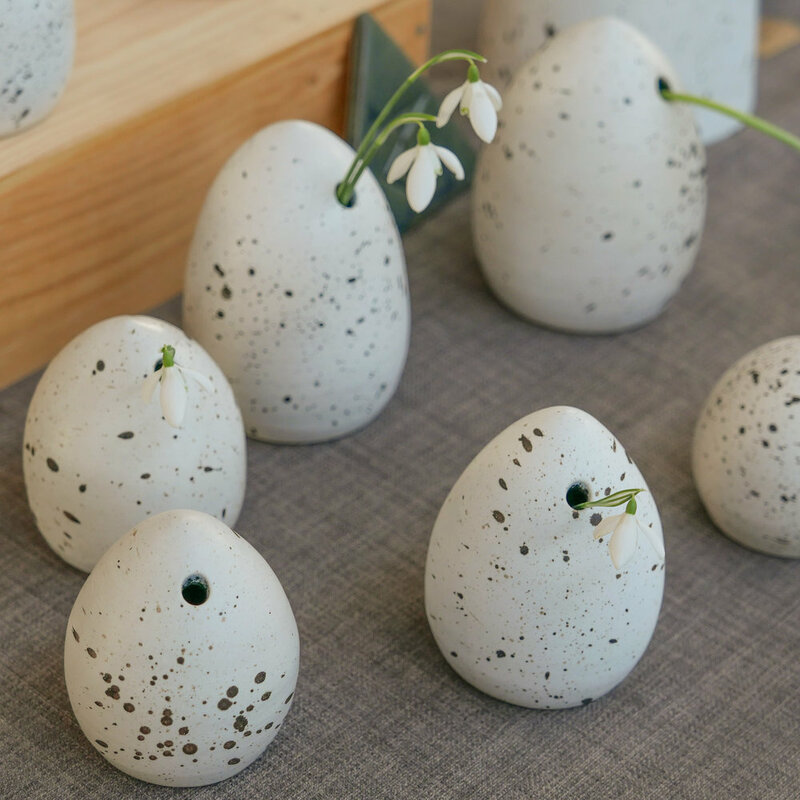 … a design market held in the courtyard of Designmuseum Danmark on Saturday and Sunday 20th and 21st May. 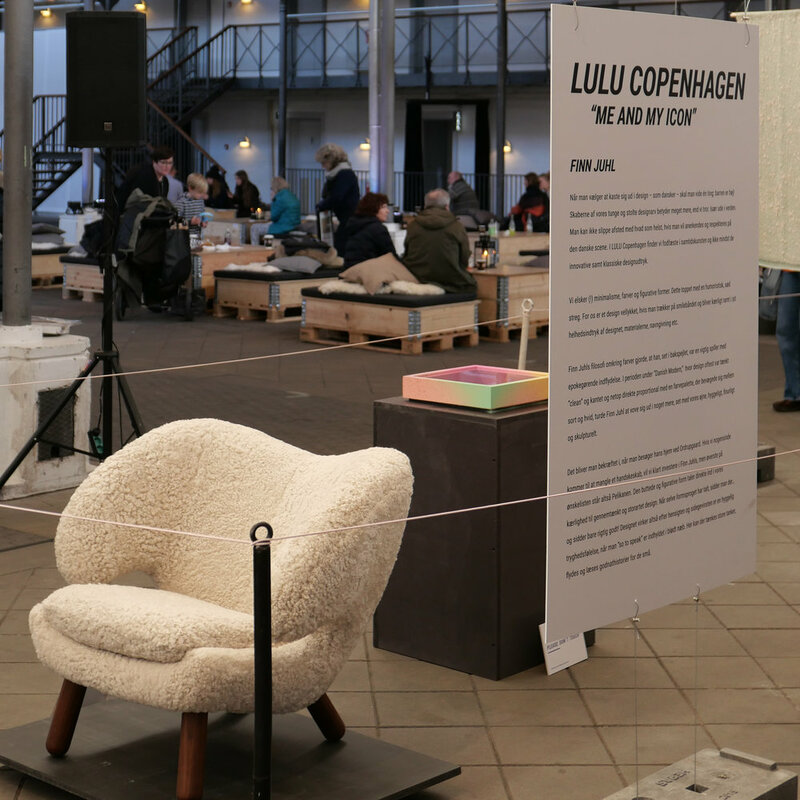 The focus is on design and sustainability with talks and demonstrations on reusing materials and encouraging people to repair rather than discard things that have broken. 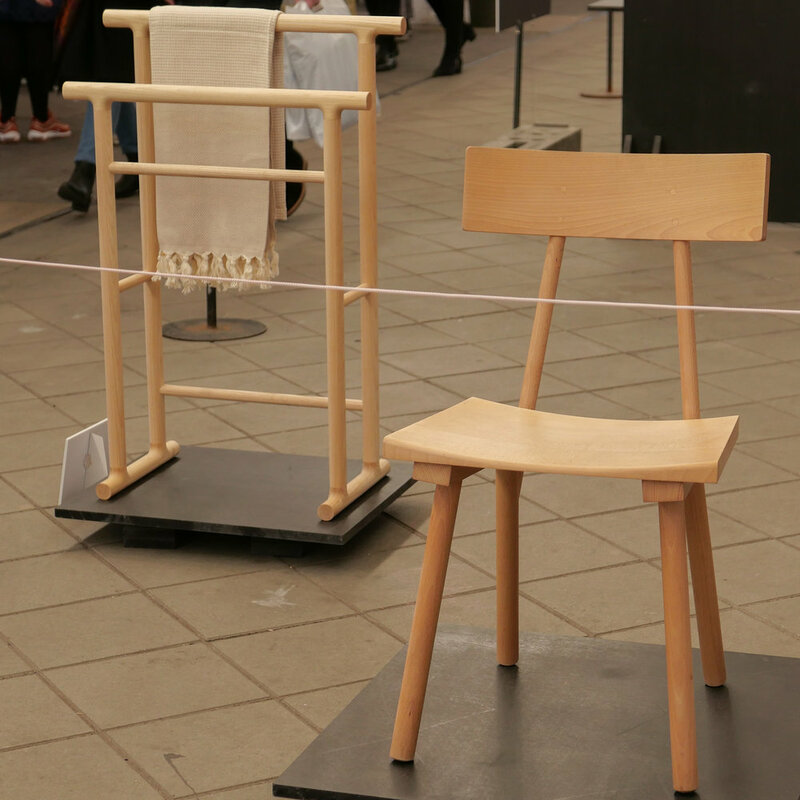 There are displays and demonstrations to encourage new strategies for sustainability through design … so that includes how we, as a society have to tackle the rapidly increasing demand for materials by reconsidering our priorities or coming up with solutions that do not, in themselves, accelerate the depletion of limited resources … so there is a display for a student project that explores the possibilities for a service where students, arriving in the city to study, can lease reasonable furniture which they can take with them from one rented apartment to the next and then either upgrade or return as an alternative to buying cheap furniture that is then discarded and there is a project by students from Aalborg University Copenhagen who for a project looked at the specific problem of how to deal with needles discarded into drains by drug users in some areas of the city. 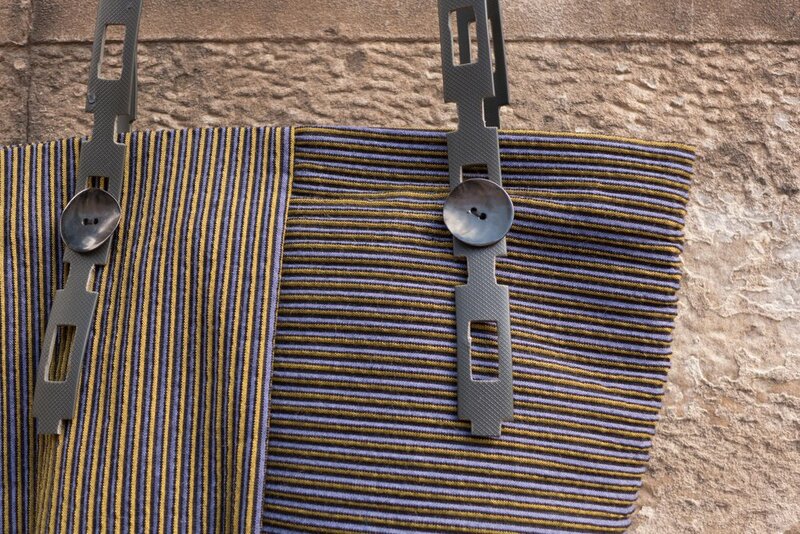 Although there is a growing awareness of the need for us to behave more responsibly as consumers, designers who want to focus on sustainability have a new task … not only do they have to come up with the design solutions but in that process they have to educate and explain to consumers why sustainability is important and how and why these problems should and can be tackled. 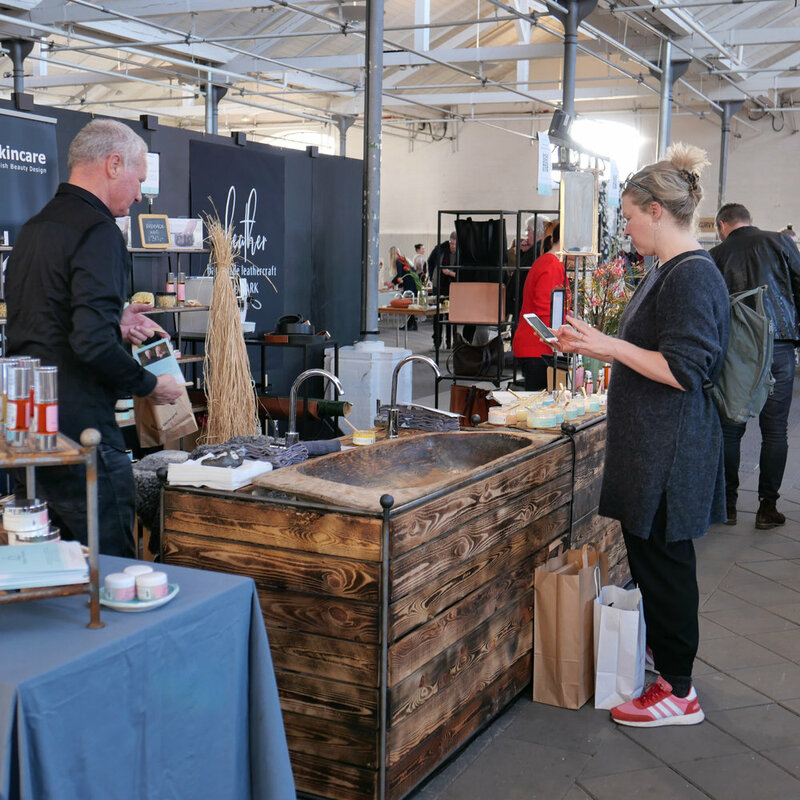 Alongside the displays and stalls there will be demonstrations outside on quilting, a talk on recycling cookware and workshops on repairing toys.